One of the main goals of real estate agents and brokers is the expansion of their base clientele. For many real estate professionals, millennials are the current client targets, as the number of Gen-X and Gen-Yers looking to buy instead of rent is steadily increasing. While the amount of people looking to buy a home may never decrease, you might see a slight lull in home-buying trends in your area. So, what do you do when it seems you’ve exhausted all of your consumer options at home? Look abroad! 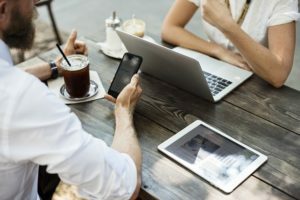 The use of apps for real estate agents and brokers is allowing them the ability to connect with a much larger field of investors, as well as giving potential clients a wider range of options when selecting a real estate professional. Speaking a different language than an investor can pose an obvious problem when attempting to sway him or her to utilize your services. Don’t be discouraged! The advantage of living in a technologically savvy world is the invention of translation software that is readily available. Google Translations—which can allow text on a website to be translated into more than 90 languages—can make clients feel more comfortable communicating with real estate professionals in other countries and vice versa. Because technology like Google Translation makes language barriers a thing of the past, there’s no reason why you can’t—and shouldn’t—make contact first. A great resource to utilize in communication, if you know your client understands your particular language, is video conferencing. Mobile apps like Google Voice, Join Me and Skype are amazing tools that allow for a video meet-and-greet, as well as the ability to keep the lines of communication open. For iPhone users, FaceTime is already set up to allow you to communicate face-to-face with potential international investors. Be sure to also research video chatting apps that are popular internationally. Some agents or brokers may even hire the use of a translator for video conferencing. Once a rapport is established, it’s time to get down to brass tax and start introducing available properties. Because an international client isn’t usually able to physically tour properties in your area, making sure images, virtual tours and as many specific details about a home are readily accessible. Being mindful of specs like adding room-by-room dimensions to your property descriptions can also help international buyers with their home search. Accommodating international investors by any means possible will go a long way in expanding your reach, and the utilization of mobile technology can help every real estate professional do just that. At SnApp Real Estate, we build high performance real estate mobile apps that will help you streamline your business and connect with clients—at home and abroad—every day of the week. Take advantage of our easy to use and customize application technology, and make buying and selling easy. This entry was posted in apps for real estate agents, mobile apps for real estate brokers, real estate mobile apps and tagged apps for real estate agents, mobile apps for real estate brokers, real estate mobile apps. Bookmark the permalink.